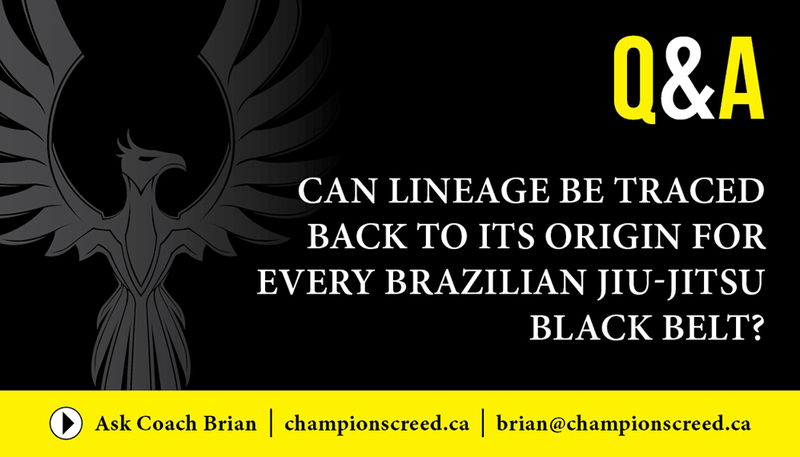 "Can lineage be traced back to its origin for every Brazilian Jiu-Jitsu black belt?" Yes, that is one of the very cool and unique things about Brazilian Jiu-Jitsu. Brazilian Jiu-Jitsu is a relatively new martial art, in the whole scheme of martial arts. Jiu-Jitsu itself dates back thousands of years. It was an art used by the samurais on the battlefield. If for some reason their weapon was lost, this was a style of fighting they used for hand to hand combat. Obviously, it has evolved for a long time but eventually ended up emigrating to Brazil. It was a more traditional style of Brazilian Jiu-Jitsu. Jiu-Jitsu came from Japan. It was Jiu-Jitsu, but the style of Jiu-Jitsu used then would be different from what you would see now, what we call Brazilian Jiu-Jitsu. There was a Jiu-Jitsu Master, his name was Mitsuyo Maeda. He ended up emigrating to Brazil to help set up a Japanese immigration colony there. And he is the one that originally met the Gracie family. He met them and started teaching Carlos Gracie. Carlos Gracie ended up teaching his brothers. One of them was called Helio Gracie. For me after that it goes from Helio Gracie, to Francisco Mansur, to Joe Moreira, to my instructor Roy Harris, and then to me. I am able to trace my lineage back all the way to the first guy that came from Japan and brought it to Brazil. That's what's cool about Brazilian Jiu-Jitsu is that at the moment, it will always be like this. You can actually trace your lineage back. Is that recognized? What level did you reach? Ok, then you can verify who Roy Harris is. Roy Harris is one of the first 12 non-Brazilians to ever get their black belt in Brazilian Jiu-Jitsu. So, it's very clear who he is. And you can trace that back to his instructor and so forth. 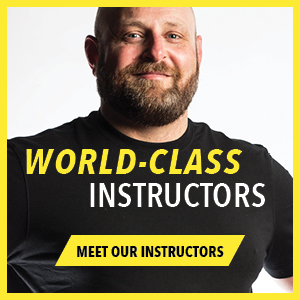 Is the black belt that you get at each level attached to your original instructor? Yes. My instructor is the one that always gives that to me. In Brazilian Jiu-Jitsu, you always need to be two levels above the person you're giving a degree to. 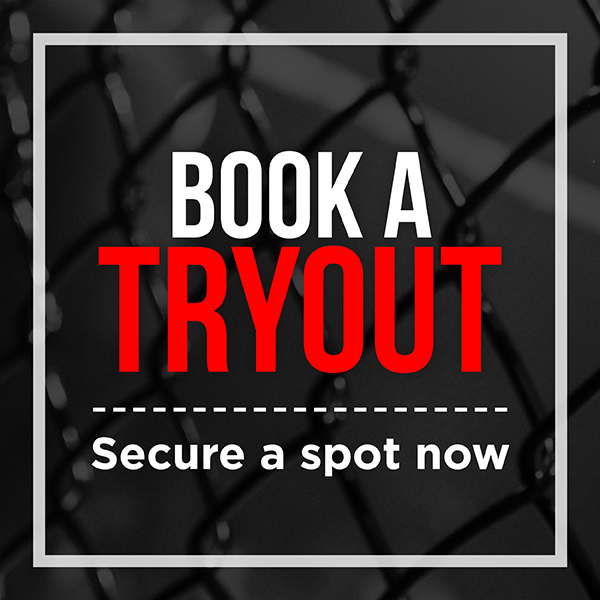 If you're going to give somebody a black belt in Brazilian Jiu-Jitsu, you need to be two levels above. 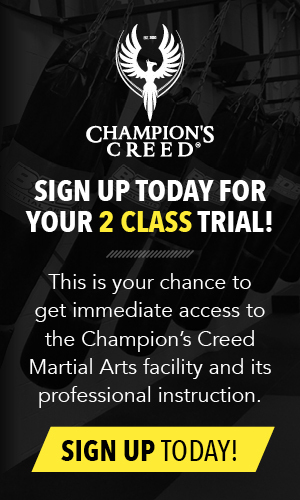 In our case, the first black belts, they're called the first-degree black belts, you need a third-degree black belt to give it a first-degree back belt. My instructor is a fifth-degree black belt, that's why he was able to give me a third-degree. Actually, my instructor is getting a sixth-degree next week, December 17th. It's one of the biggest accomplishments a non-Brazilian has ever gotten. No, it can go all the way up to the coral belt. It's a red and white belt. It actually ends up going up very, very high. They're called Grandmasters. Those are guys that have been doing it for 60 or 70 years. 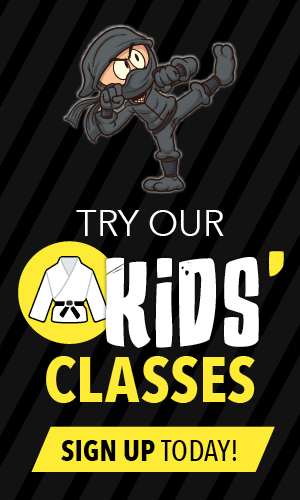 If you change instructors at some point, does that change your black belt? If you change your instructor, your belt rank will still be recognized. But there is a lot of… I don't know whether to call it politics. Changing instructors is not something you do, unless there is a real reason for it. It's not an everyday, fun thing. At a lower level, it may be different. You're a lower-level color belt and you moved to a different one. Ok, fair enough. I'm a black belt. I am a Roy Harris. I trained with him since 2000. I've been training with him 17 years. If tomorrow I don't want to be under Roy Harris, that's a big deal. That's a huge insult to him. It's huge insult to the lineage. That would be putting me in a position where I would have to have a very good reason to be doing that. They're still martial arts and there's still that understanding of loyalty.